According to sources currently attending E3, Electronic Art’s BattleField 1 gameplay is on display and not looking so hot. BrokenGamezHD is one of many who have been privileged to see the game up close and personal and what he saw he did not necessarily like. According to BrokenGamezHD, BattleField 1 looks to still be in its pre-alpha stage. Is Something Like This To Be Expected? Sure its the beginning of E3 and most games if not all being showed is not entirely in a finished state. What concerns me about BattleField 1 being in a pre-alpha state is, there is not much time between now and October. That means they need to significantly get moving on completing this game or else we will see a second coming of the BattleField 4 launching. 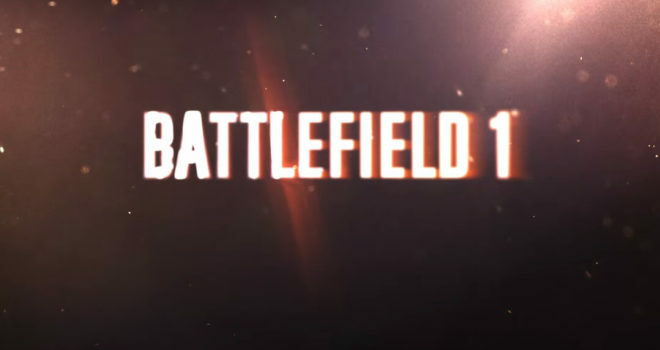 At best BattleField 1 should basically be in its Beta phase ready for fans to play early before launch, but at this stage in the game Electronic Art’s may be in for bitter pill to swallow. What do you all make of this news and do you foresee this revelation as a setback or an on track EA anticipated launch?